Isn’t Your Daughter More than Just a Princess? 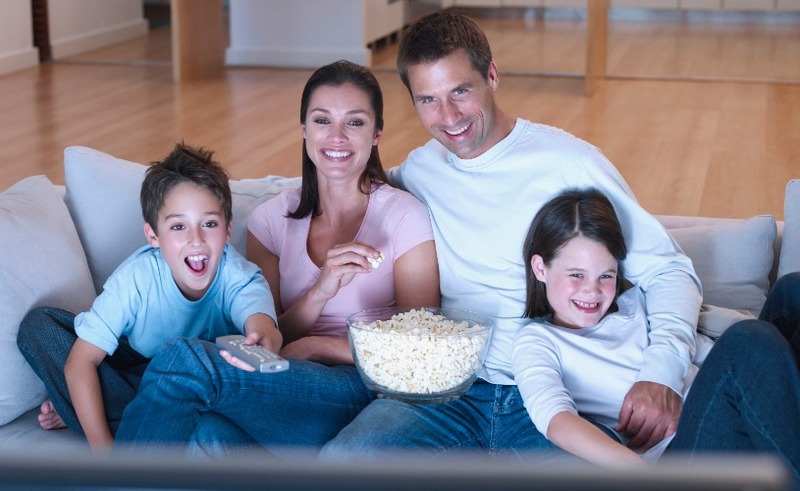 What Role Does Television Play in Your Family? Have you noticed how the role of televisions has changed since we were children? When I was little we had one television in our house, no cable and 6 kids. You can imagine the battles that took place fighting over cartoons on Saturday mornings. Television wasn’t the white noise of our life like it is now. When I was a child a television was a luxury; and time spent watching television was entertaining for the entire family. It was something we did together in moderation. Back when there was no childhood obesity. Video game systems were not the norm at every house and kids played outside for exercise rather than ran around shooting zombies in a video game. There were no laptops, iPods, iPhones or I anything. Everything you did was in real time ad you had to interact with actual humans. When I got my first job at 16, the first thing I bought was a television because I knew it was a way to hang out with my brothers and sisters. It meant late nights watching horror movies with my brother or early Saturday mornings eating cereal and snuggling with my little sisters. As a teen, television was the glue that bonded us in our adolescences with group swoonings viewings of Dirty Dancing or Sixteen Candles. Television is where our family watched home movies together and laughed at how funny, small or young we once were. Now, it feels like television has lost its specialness and it’s become just one of many pieces of technology to choose from. It’s like another piece of furniture. There are too many channels and nothing good is ever on. People are connecting via the Internet and television has gotten a bad reputation and taken the blame for being the reason our society is fat and our children are unhealthy. I, personally, still love television. I do think there are too many channels and most of it is filled with stuff nobody wants to watch in the first place but I also know that I still see the glimmer of that special bonding my siblings and I shared when we all laid blankets on the living room floor and watch The Wizard of Oz on Thanksgiving night. I remember the giggles and laughter that filled the room, as we poked and picked at one another as siblings do but I also remember not wanting to be any place else. I want that for my children. So we spend a weekend night, just the four of us, cuddled up on the sectional; covered in pillows in blankies; heads in laps and arms draped gingerly and lovingly over one another and we watch a movie or two in our movie room and there, I hear it. The laughter, the memories being made, with my own children just like I had with my parents when I was little. I guess television is what you make of it and everything is good in moderation. What is one movie that you’ve seen that transports you back in time to the first magical time you saw it and who you were with? Disclaimer: This post is written by me in collaboration with a brand partner.